It is astonishing how everything around us is evolving so fast, yet, we manage to include the elements of the past in our present. Lately, I have been seeing a lot of fusions like say pizza dosa which is a fusion of italian and south indian cuisine. Likewise, The New Colgate Swarna vedshakthi has clearly perfected the art of blending past with the present. 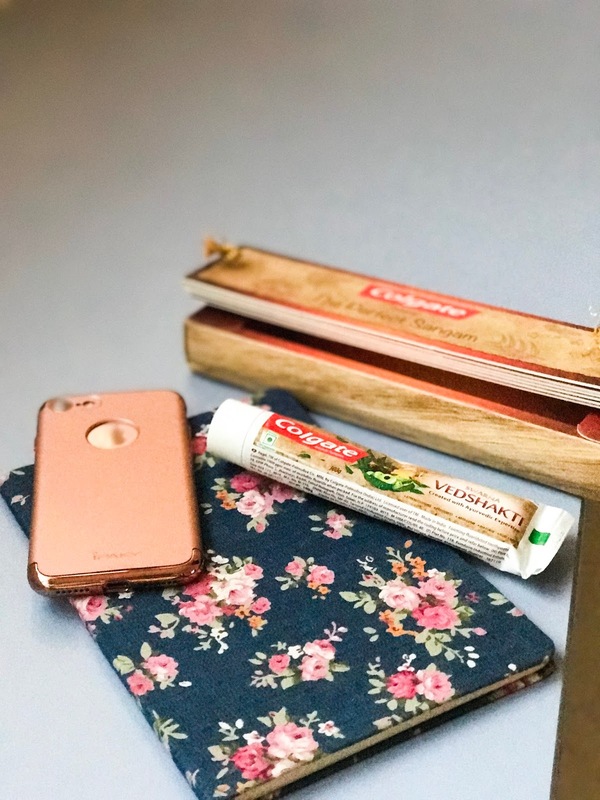 It has the perfect sangam of traditionally used ingredients and Colgate’s oral care expertise, to deliver superior protection against oral care problems for the whole family. In every aspect of life, we have brought about a perfect sangam, the perfect blend of knowledge and science, ved and vigyaan. And the same philosophy has created the latest product, Colgate Swarna Vedshakti. The toothpaste has ingredients like Tulsi, Clove, Neem, Honey & Amla. To my surprise I absolutely loved the taste of it. I had never been a fan of toothpaste ever since I was a kid. I used to have this aversion towards how all the pastes taste. The packaging of New Colgate Swarna Vedshakti is very attractive. The toothpaste is greenish-brown in color and it smells very natural. After using this toothpaste, my mouth feels extremely fresh and the freshness lasts for quite a long time. 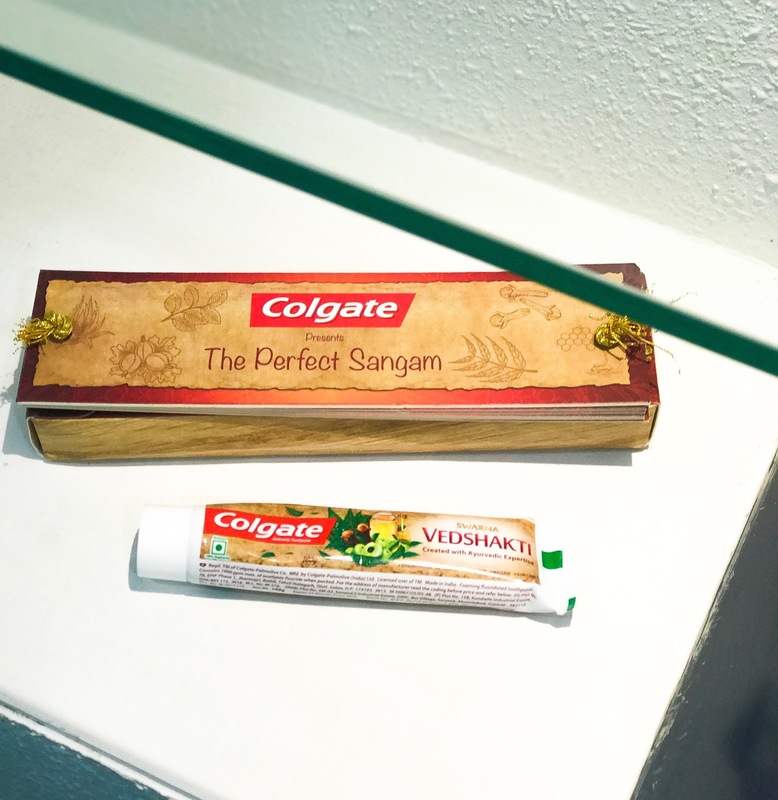 The New colgate Swarna vedshakti is great, and an affordable addition to your routine. Colgate Swarna Vedshakti. A premium natural offering from Colgate. 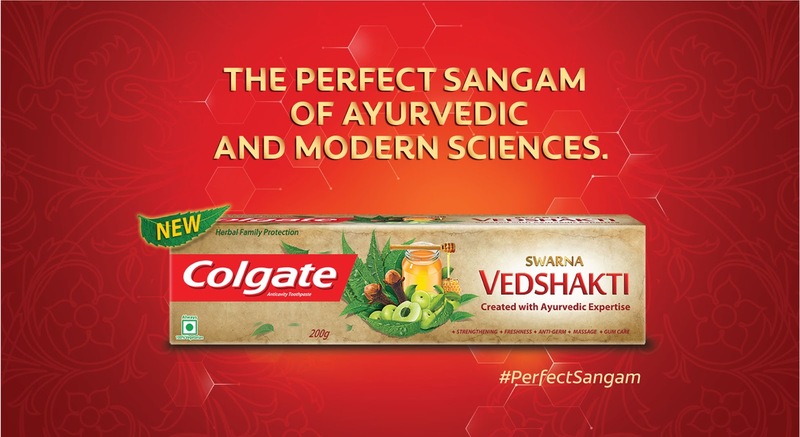 The new Colgate Swarna Vedshakti is the Perfect Sangam of age-old ayurvedic ingredients and Colgate’s oral care expertise.